Wing Time is a time tool aggregation. 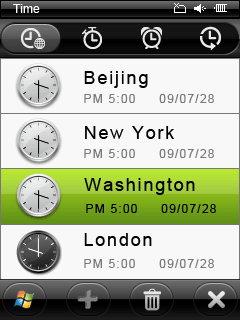 It is a usful tool for user to know the World Time, to set the Alarm. User can also use stop watch to create records about time. Easy to switch each page for every function. Time is the interface through which user could review world time and manage lifetime.